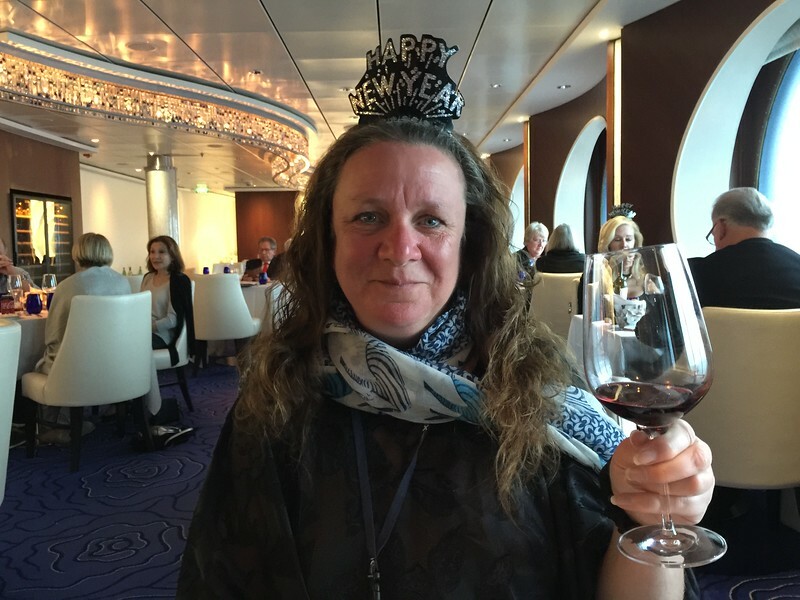 The last day of the year 2017 had arrived and for me (Heather), the day that I was anticipating the most – rounding Cape Horn and traversing from the Atlantic Ocean to the Pacific. What would it be like? 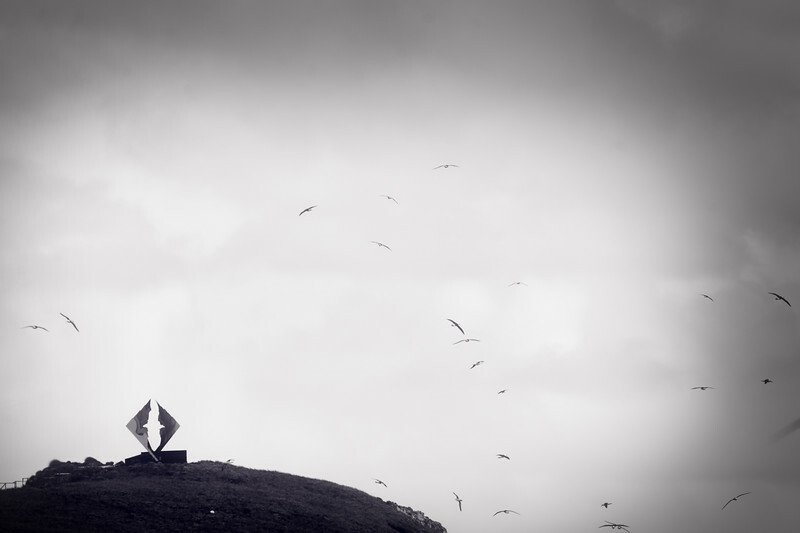 Would it be windy, rough seas that challenged the most skilled sailors and mariners of the past? Or would we experience the more rare climate of the Cape, a quiet, smooth sailing of a glass lake? We would still have to wait the day out, but the day did begin with a scheduled birdwatching Celebrity Life activity with Mickey Live and Naturalist Chelsea Behymer. Our small group of early risers met on the starboard side of the Deck 4 promenade. 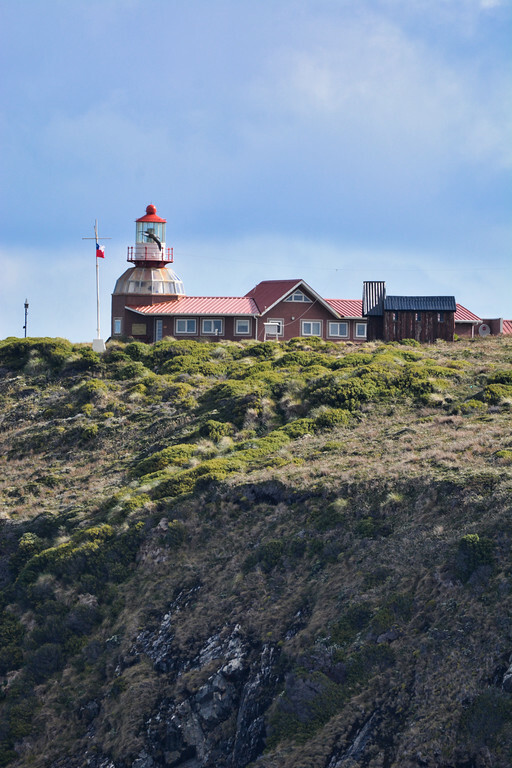 It was a windy, cool morning as we entered the Strait of Lemaire, but our group were keen on viewing wildlife and pelagic birds. 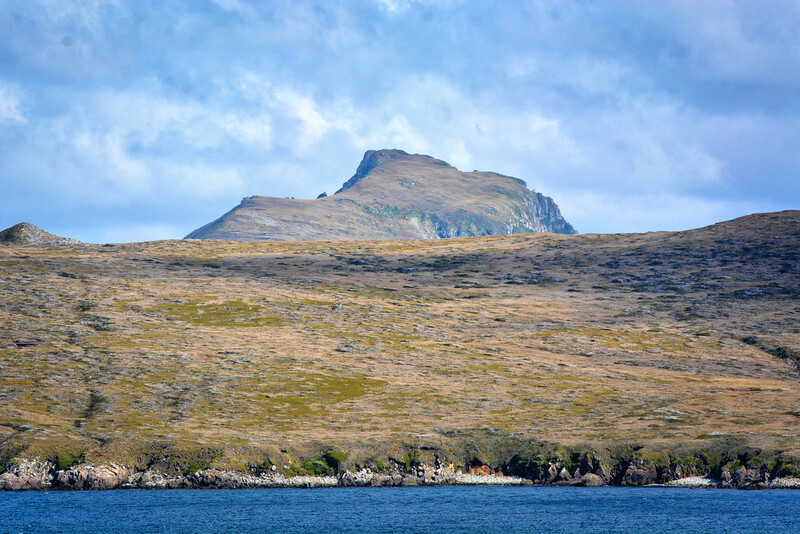 The Le Maire Strait (Estrecho de le Maire) is a narrow sea passage between Staten Island [Isla de los Estados] and the most eastern extremity of Tierra del Fuego. 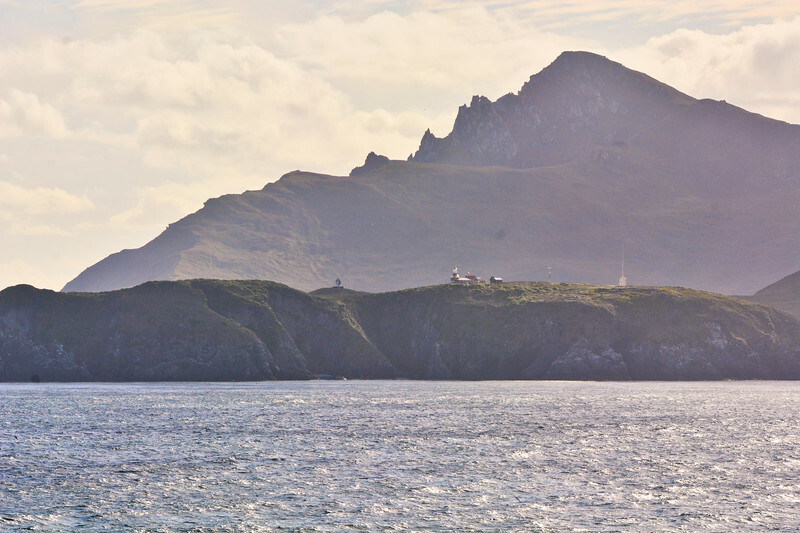 The strait was discovered in the early 1600s by Jacob Le Maire (namesake) and Willem Schouten as they attempted to find a passage from the Atlantic to the Pacific Ocean. 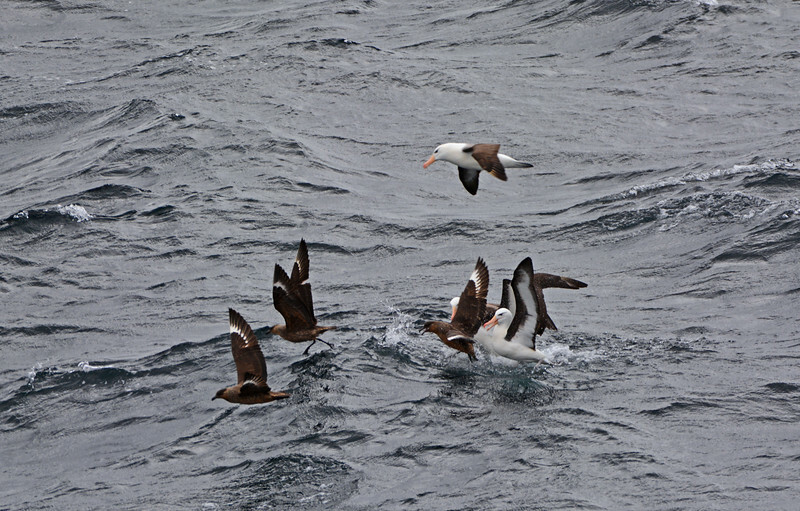 The stars of the day within the strait were the birds, but we did have a sea lion and a few surprise penguins porpoise away from the ship! I caught the front and tail end of one of the penguins with my camera, but the sea lion was much too fast and all I saw was a big splash! 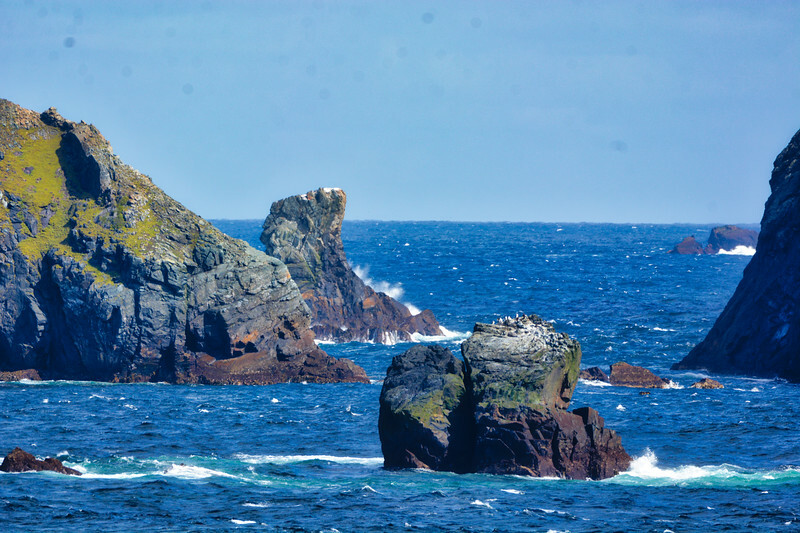 Although not the clearest of images, the red/orange thick bill, small body size, hint of yellow crown (if you zoom in) and lack of banding (from other photos, not shown here), indicate a “Southern Rockhopper” penguin! 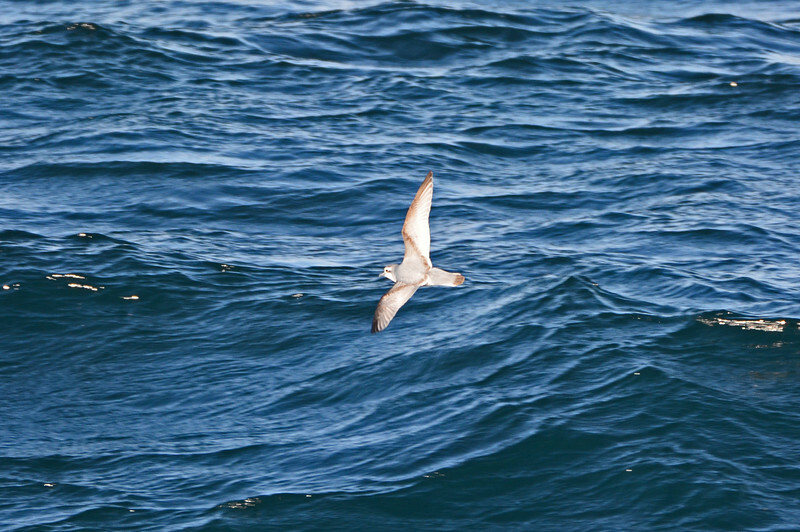 This was very exciting for me, as it was an unexpected species for the trip. There is an increasing breeding population on Staten Island (along with Magellanic and King Penguins), so the range fits! Also, so cool about the photo below is that one can see the sheer power of the little bird, check out the entry splash to the right and the resurfacing point to the left – that’s quite a distance to propel a little body! Birds are so amazing!!! 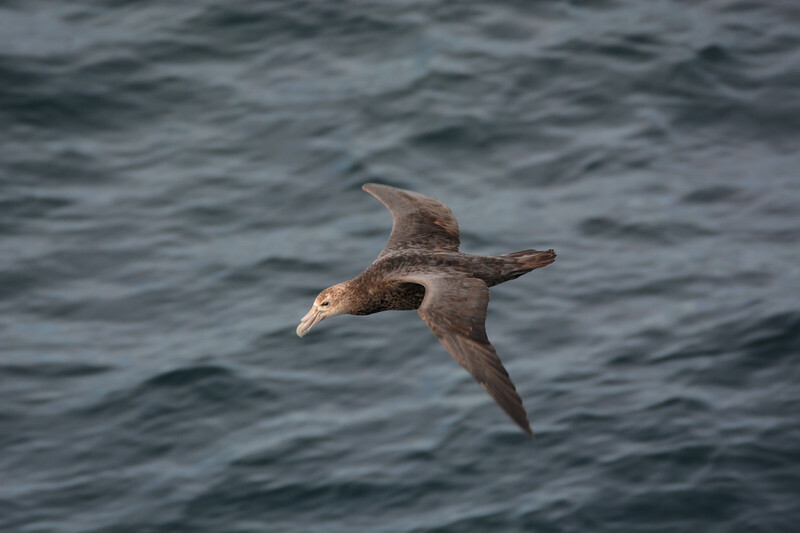 Sooty Shearwaters skimmed the waters in large numbers to everyone’s delight! and the photobombs continue! 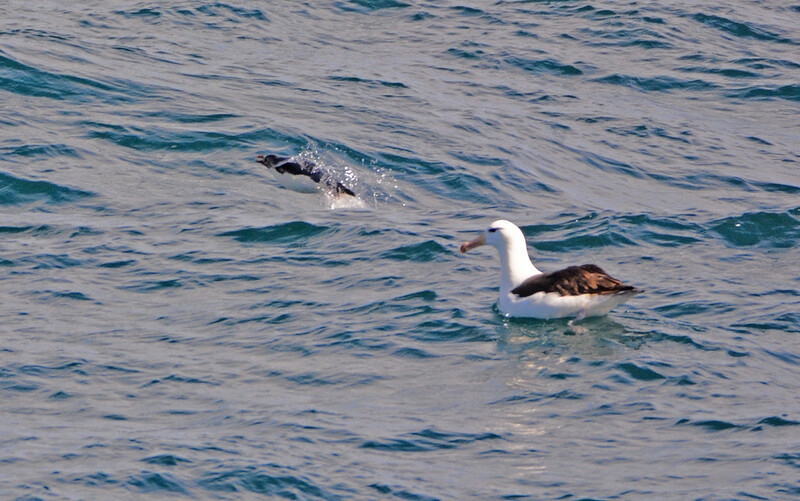 again, looking at the albatross photos and I found a Southern Rockhopper Penguin clearing the water (porpoising) near a seated black-browed albatross! Just goes to show you, while you are looking at something through the lens, so much is going around you that you don’t see in that moment of time. Nature Rocks! 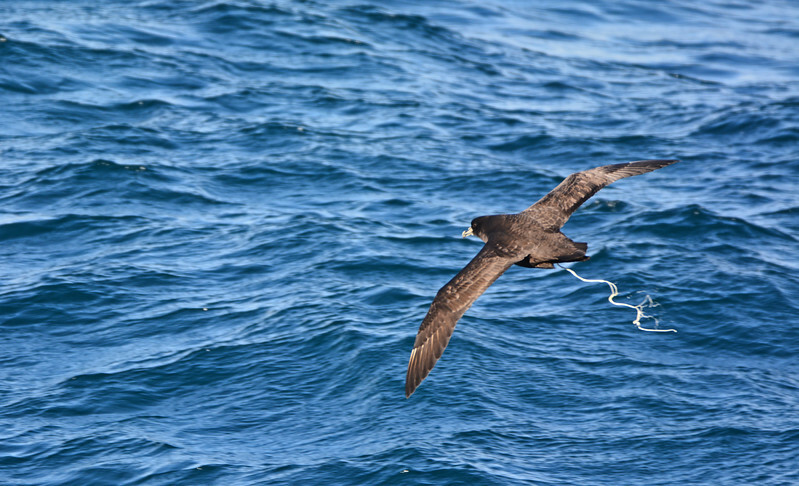 a white-chinned petrel gave me a great photo opportunity of self-ocean fertilization! 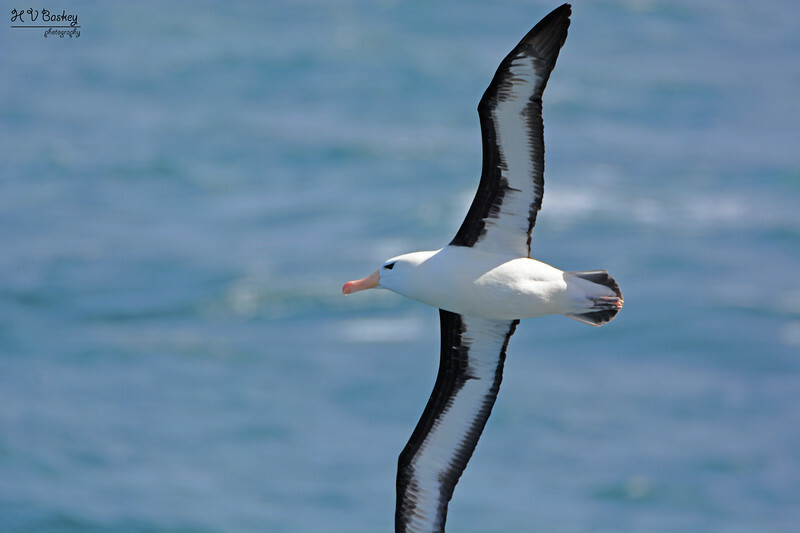 and slender-billed prions lit up the dark waters with their bright-coloured bodies that had the distinctive “M” marking on their backs. As we were nearing the end of the strait, a lovely flock of Imperial Cormorants flew past the ship. 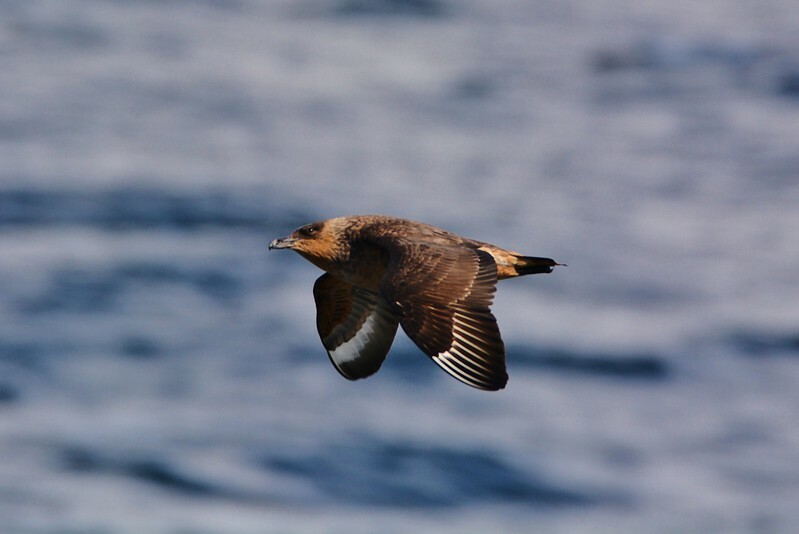 Although we saw this species at a nesting site in Puerto Madryn, it was still pretty cool to see them within the Strait of Lemaire. 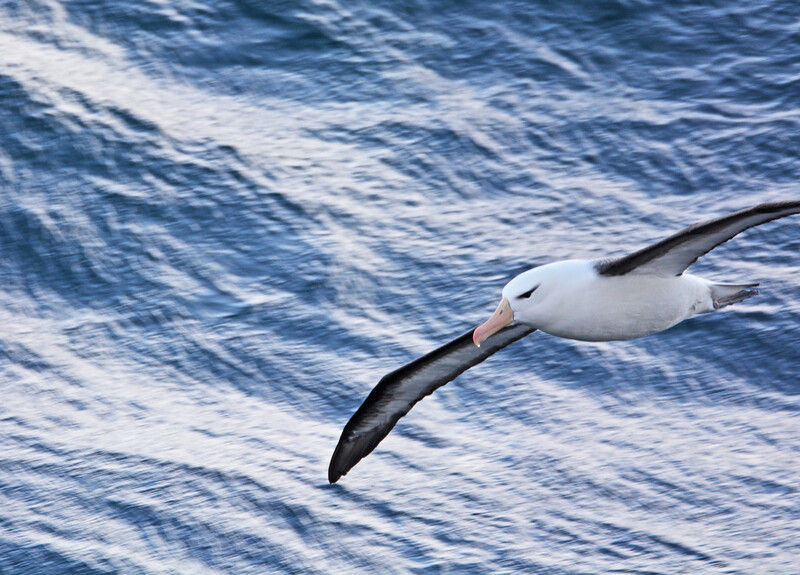 A spectacular bird! It really was a great morning and several of us stuck it out for a good four (4) hours, despite the wind chill. 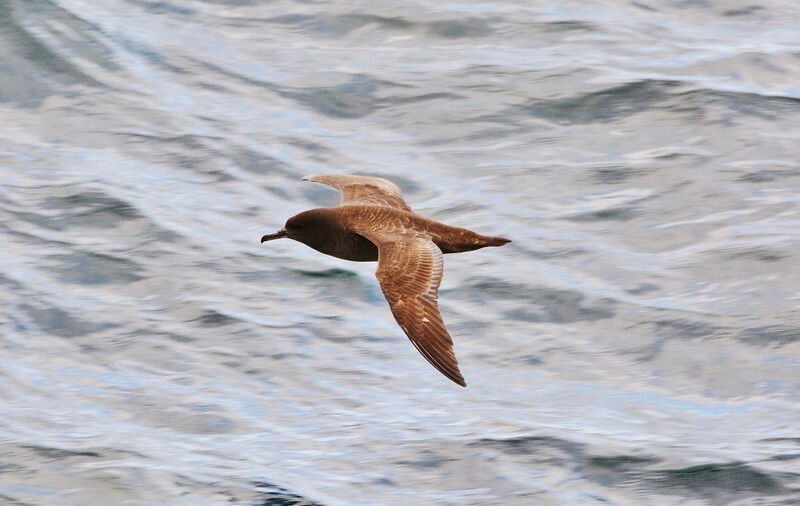 It was all worth it and I will cherish the memory of “pelagic bird-watching” on board the Celebrity Infinity, as many “lifers” were seen and appreciated. 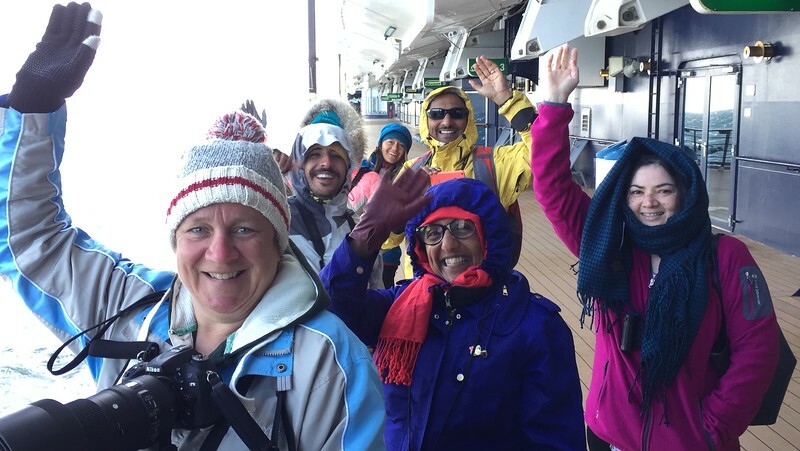 The Super Keeners – sticking it out to the end … 4 hours on a cool & windy deck! Following the bird-watching, Anthony & I went for lunch to try and “warm up” and get rid of the chill. We had a quiet afternoon and watched the seas roll by from our balcony. We had the TV on Channel 16 and when we heard the chime, raced into the room to listen to any updates from Mickey Live. Closing in later that afternoon, was the Cape! We had reached our anticipated destination. 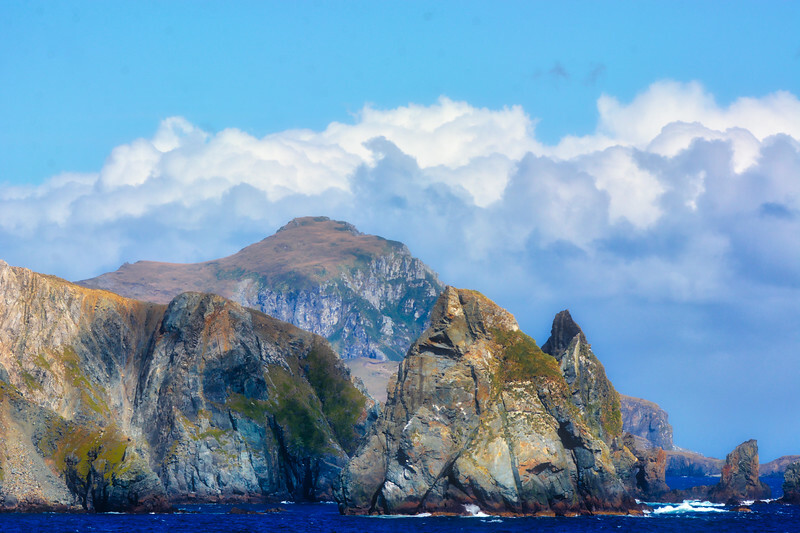 Master of the Vessel, Captain Yannis circled the entire Island of Hornos, which was simply spectacular! We began from the east to the west, then north and around to our original starting point. 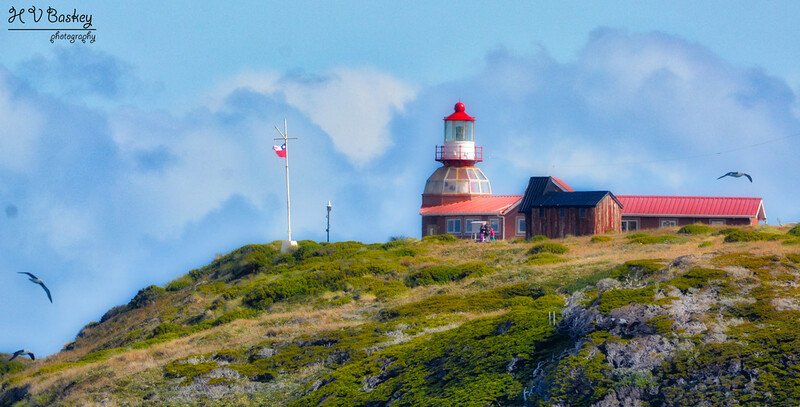 To encircle this famous landmark was a dream! The weather held for us and although not a “glass lake”, we had sunshine and low to moderate winds, giving all of us quite a show of the island. 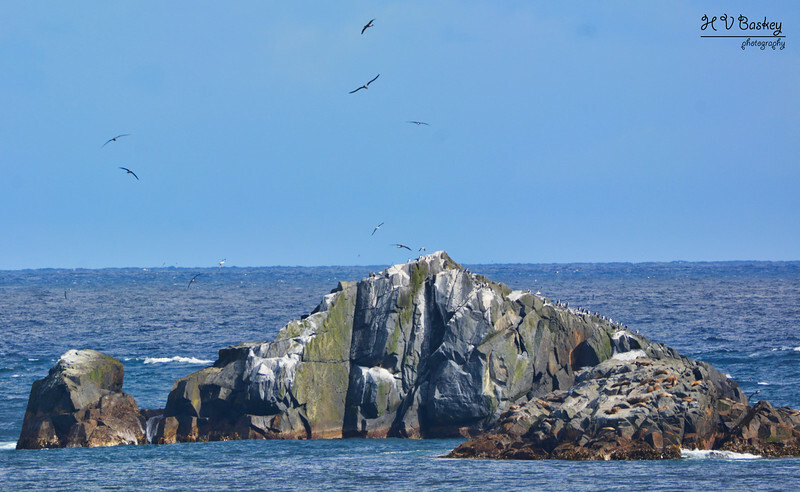 As we went around some interesting rock formations, there were plenty of birds (black-browed albatrosses and perched imperial cormorants) and also presenting themselves were sunbathing South American Sea Lions! 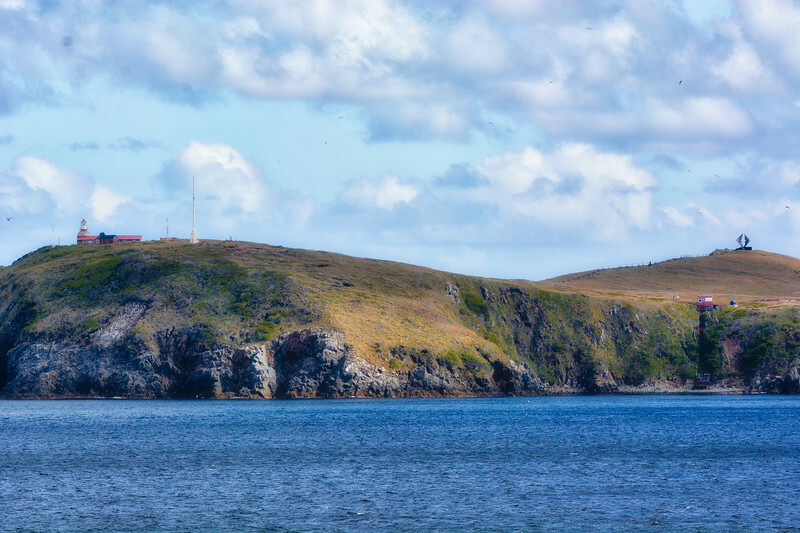 When we finally re-approached the starting point (Lighthouse and Albatross Memorial), the Captain did a 360-degree turn to allow all passengers, from wherever they were positioned to view the landmarks of the island. Then! 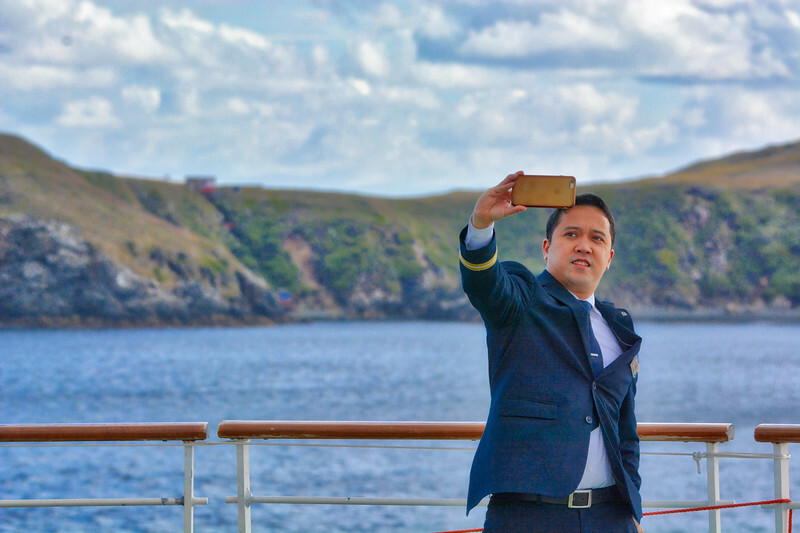 Quite unexpectantly, it was announced that since the weather was so good, for the first time in 3 years, the Captain opened up the helipad for all guests to enjoy the spectacular views. Of course, I grabbed my camera and ran! 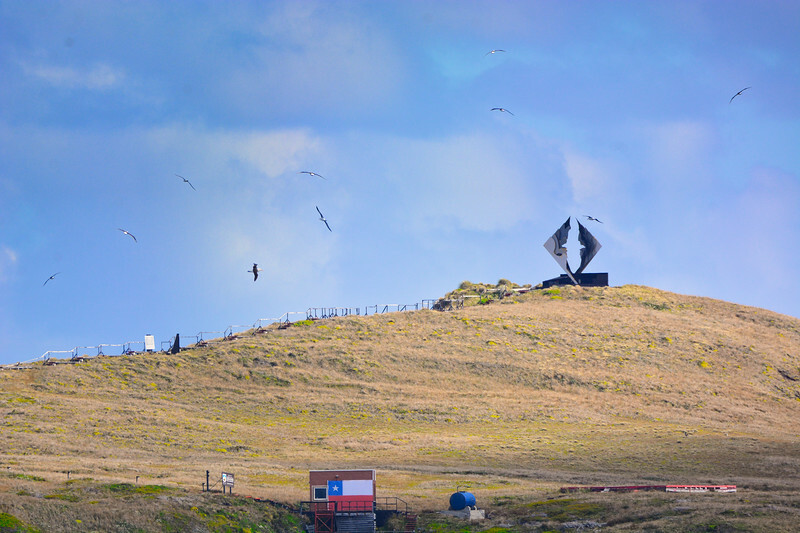 Albatross Memorial – surrounded by Albatrosses! 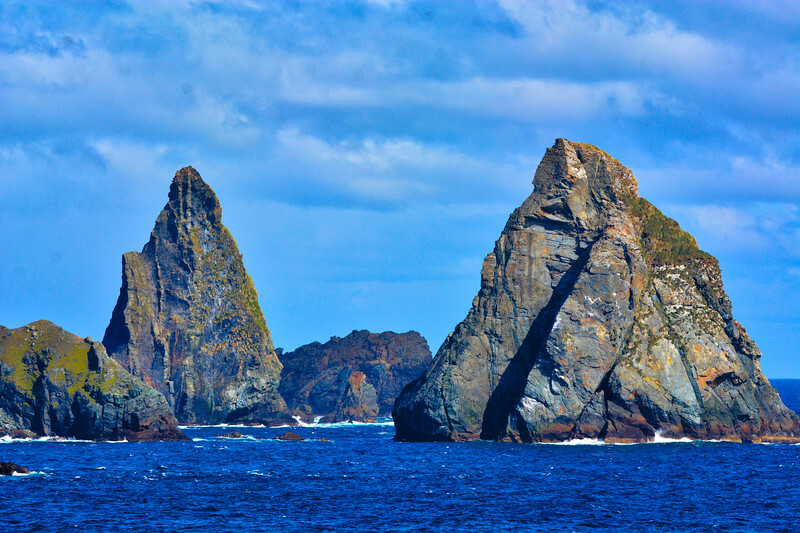 A final look at Cape Horn as we sail away, en route to Ushuaia, Argentina. After a spectacular FULL day (from birding the Strait of Lemaire to Cape Horn), Anthony and I rested for a little bit prior to our dinner in BLU. We were a wee tired after such a great day, but we dressed ourselves up for Evening Chic and then had our dinner in BLU, where they handed a few party favours out for New Year’s Eve 🙂 It was such a long day for us and we didn’t want to be too tired for our full day adventure in Ushuaia, that we actually retired early and didn’t join the late night partiers to bring in 2018. No regrets, as tomorrow was another full day and we had much sight-seeing to do!